The AeroFlo2 30 is a perfect system for those who want a smaller high performance system. 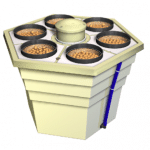 Works great for sea of green or the grow chambers can be fanned out for larger plants. This is a very high yielding and very compact system with a 7’6”L X 23”W X 22”H footprint. It is not a high pressure aeroponic system it is really a low pressure aeroponics hybrid but don’t let that stop you. 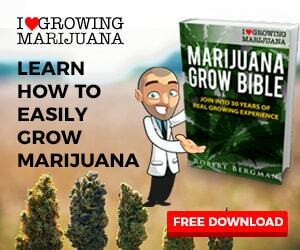 Plants grow extremely fast and yield heavy in this hybrid system. 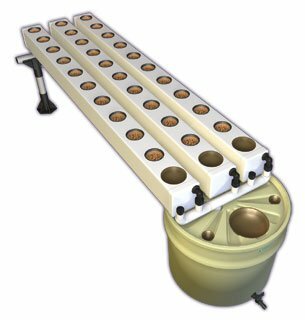 border="0"> The Aeroflo®2 Hydroponic System come complete with everything needed to start growing: Flora Series nutrients Hydroton® Net cups Coco cup liners Pump (except 60 extension) Support structure and manifold Legendary growth and yield are the hallmarks of the AeroFlo2® line. AeroFlo2® super-oxygenates the nutrient solution to deliver oxygen, water and nutrient in ideal combinations, creating a root zone environment that surpasses anything found in nature. The results are larger yields, stronger more resistant plants. The AeroFlo 18 and AeroFlo 30 both use our new WaterPower pump and 17 gal Hex Pot Reservoir. More nutrient, less nutrient maintenance.